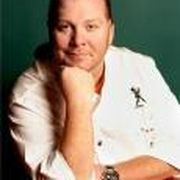 With fifteen restaurants, eight cookbooks and a host of television shows, including the ever-popular Iron Chef America, Mario Batali is arguably one of the most recognized and respected chefs working in America today. Mario is also the author of eight cookbooks including Molto Gusto: Easy Italian Cooking (Ecco 2010), which hit shelves last April. His most recent and ambitious project to date is Eataly – a 50,000 square foot culinary mecca in New York City’s flatiron district. We cook a lot in our family so it was easy to test the last-round cookbooks -- Good to the Grain and Plenty -- on what we see as basic criteria. The first is usually called the “Let's judge the book by its cover” decision. I know this seems wrong but, in fact, most cookbooks are bought for their visual appeal, especially in the month of December when food fans with diverse experience buy books as gifts for an even more diverse group of cooks/recipients. As usual, my ultimate judges/support-team were my two boys -- Benno, age 14, and Leo, age 12 -- along with my in-laws and my wife, Susi. We have no pretense to expertise, but we more than likely represent the cookbook market’s demographic in terms of variety of opinion and cooking chops. Both of my kids are excellent cooks with cookbook publishing experience -- this year they wrote their first book, the “Batali Bros. Cookbook,” as a birthday gift to me. It will be published in hardcover this month and you may see it out and about in a very limited first print run. Benno and Leo both love to cook and follow recipes about as often as they drive offroad. They see recipes as a vague guide and improvise readily, particularly in the substitution-of-ingredients department. For the vote on ”never judge a book by its cover,” Good to the Grain's mini crostatas evoked far more pleasure and payoff than the abstract colored line drawings on Plenty. Grain won all votes, although I granted a special extra credit vote for the soft and padded cover feel of “Plenty.” It feels arty and whispers “you are very cool to be holding this book” softly into my ear. Next, we started with the material. All voters loved the introduction and the Tech-Tools-Ingredients info in Grain much more than the get-down-to-business 1-page intro in Plenty. The crazy chef-mind-driven recipe chapter breakdown in Plenty was fun to me, less so to the other members of the judging panel, who are more bent on shopping in a course-by-course traditional style and less interested in the chef-mind as they live with a chef-mind and often find the chef-mind tediously creative and uncooperative. Both of the books have excellent and thoughtful headnotes and the recipes are straightforward, easy to shop for and easy to execute in the kitchen. Even in the “cooking more than one recipe at the same time” stress test, where we try to rush through a few recipes at once and often lose an instruction or two with inconsistent steps of production and tone, both books flew through with nary a scrape. Neither book contains photos of all the recipes, and this is to both of their detriment, but the art direction in Plenty was a tad more interesting in the use of the long (vs the square) photo shape. However, I think we all prefer Quentin Bacon’s photography and perspective in Good to the Grain. It felt in Grain that they may have had to live with less-than-full color just because the nature of the world of baking is mostly neutrals. The natural light photos in Plenty are much more appealing than the studio lit shots, but I feel that way about all food photography. We all felt the passion for the Middle-Eastern spice profile and the easy, nonchalant feeling to many of the dishes in Plenty. It evokes more the food we like to eat and adds fuel to the fire of the complaint that, in fact, these books are apples and oranges that simply cannot be successfully compared due to such a radical and fundamental difference in material and focus. Do you hear us, Piglet? We love to bake at our house and have decided that, at the end of the day, the basic educational components of Good to Grain would lead us to open the book and use it more often than the jazzy and arty feel of Plenty, where a lot of the dishes seem more intuitive to our kitchen and thus less useful as a book to actually cook from, but maybe one that is more fun to look through for inspiration. For this group, it is Good to the Grain, but we loved Plenty, too, and recommend it for reading. I have tried several recipes from each of these cookbooks and Plenty wins by a mile. Everything I've made has been fresh, interesting and delicious. In contrast, the three things I tried from Good to the Grain were all disappointingly dry and bland. Not sure if I did something wrong as it seems to have received good reviews from others, but I've had better results with the King Arthur Whole Grain Baking book. About that fabulous looking babka recipe: I can't find kamut flour in NYC anymore! I started using it to bake with on the recommendation of Rose Levy Beranbaum and loved it, but then it disappeared. I have both of these cookbooks and love them, but I have to tip my hat to Yotam's Plenty. I have made many of its recipes and though I've been a mostly-vegetarian for a long time, I'm repeatedly amazed by what he can do with veggies. Their flavors sing and the end results are gorgeous! I loved reading this comparison, and the Chocolate Babka recipe that followed. What a shame Mario didn't take his own commentary into consideration and give us a photo of the finished Babka! Oops - I see recipe was just reprinted, and not Mario's. Sorry Mario. Maybe the editor could have added a picture. Maybe I am just a visual person. Oh man, Plenty is such a good book. A place to reach for ideas for unique vegetarian food, which is what I want in a cookbook: Guidance not rules. I can't get kamut flour any more in NYC, boo hoo! It's my absolute favorite whole grain flour and no one carries it anymore. I started using it after reading Rose Levy Beranbaum's book about bread baking. I have diligently tuned into the Tournament of Cookbooks for the past 2 years. I love the variety of viewpoints and writing styles of the judges, and I love reading about the year's best cookbooks. Good to the Grain is fantastic -- congrats! I am extremely disappointed in Mario Batali's liberty of making the longest paragraph of his "review" an ad for his sons' cookbook and for failing to cook a single recipe from either book. I understand that he is a fantastic chef, but judging the final 2 books by their pictures and the idea of their recipes seems unfair. I am already looking forward to next year's tournament and hope that the judges continue to treat this opportunity with careful consideration. I would love to read the perspectives of the authors of the 101 Cookbooks and/or Tipsy Baker blogs! Heidi Swanson of 101 Cookbooks was one of our judges last year! She took on Canal House vs. Salt to Taste, and we were so thrilled to have her participate. Oooooh, scandalous! A/M/C, will you be reporting on the party for those of us who would have loved to attend but weren't able to be there? I made Kim's chocolate chip cookies last night. Yum yum. So glad I finally got a copy. 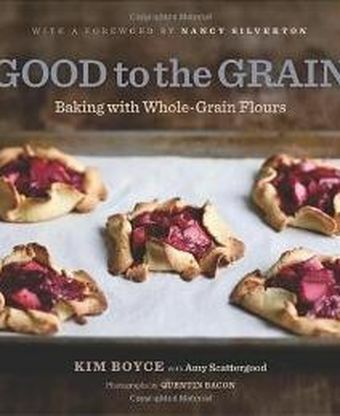 I was rooting for "Good to the Grain" and am hoping its prize indicates that whole grain baking will become more widely appreciated, and not remain out of the mainstream or merely "niche." 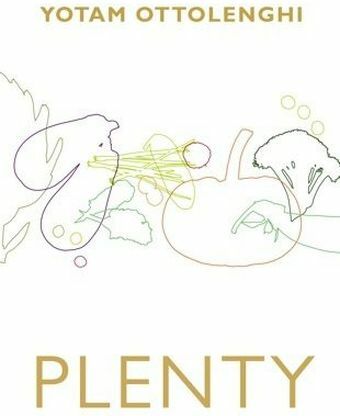 At the same time, I'm thrilled that "Plenty," a vegetarian book, got so much play, for similar reasons. Plenty to celebrate here! Thanks for all the illuminating commentaries on some great cookbooks. This officially just entered my Christmas wish list. Always good to see "local" representation. Congratulations, Kim. Well done. I agree with the pick but didn't Kim Boyce work with Mario? It might have nice if someone mentioned that fact. I hear you Mario, I was thinking the same thing. Thanks for pointing it out! Congrats, Kim Boyce and Amy Scattergood! How fitting that the winner is chosen by a family decision. I really liked what Charlotte had to say about the finalists. Thanks, Charlotte, Amanda and Merrill - loved every day of the Piglet - awesome cookbooks and judges!